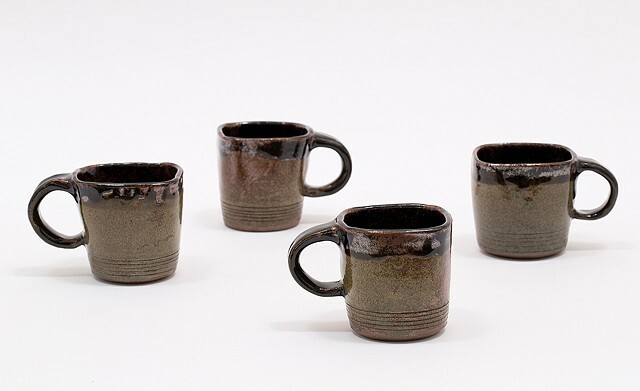 Low, earthy, grounded – The course ochre clay peeks through the thin celadon application. Holding the mug, the hand encounters the subtle protrusions, contrasting the experience of the lips’ contact with the glossy, tenmoku rim. The mug’s simple, square-shape, is reminiscent of the dependable, calming-familiarity which coffee induces in the body.